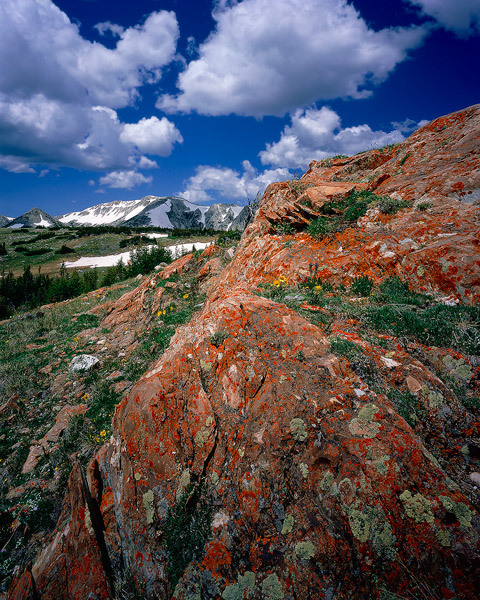 An explosion of color reveals the beauty - both subtle and dramatic - of the Snowy Range. Field Notes: Ebony 45S camera, Schneider 75 5.6 Super Angulon lens, Fuji Velvia 100 film. Photo © copyright by Brett Deacon.